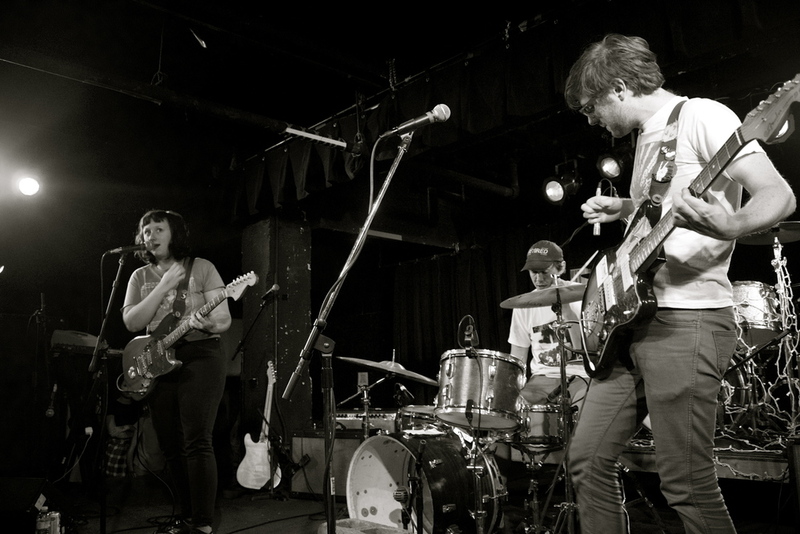 We all knew a few things going into The Julie Ruin’s first DC show, primarily that this would not be a reincarnation of Bikini Kill or Le Tigre. 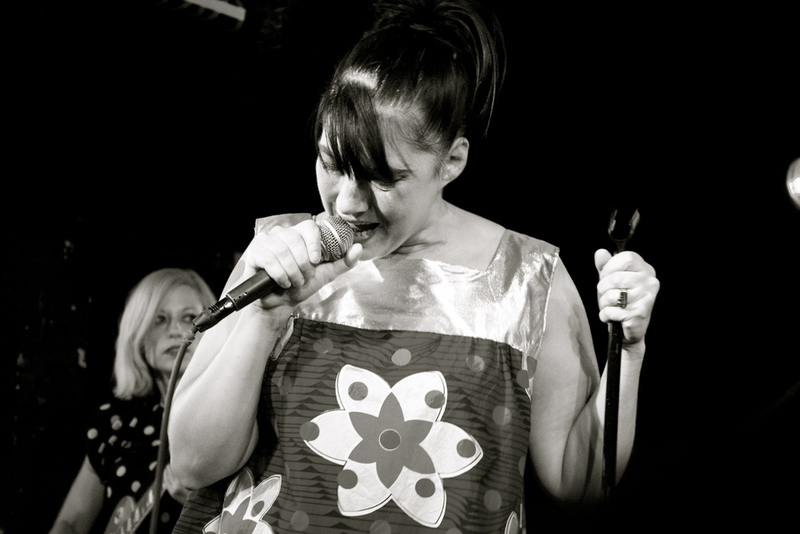 We all understood that there was life after riot grrrl, for both the musicians on stage and the giddy crowd. But preparation didn’t mean we quite knew what to expect. What we were treated to was the most recent chapter in the life of one group of dedicated musicians, not that of a movement. It is painfully important that this distinction is made. 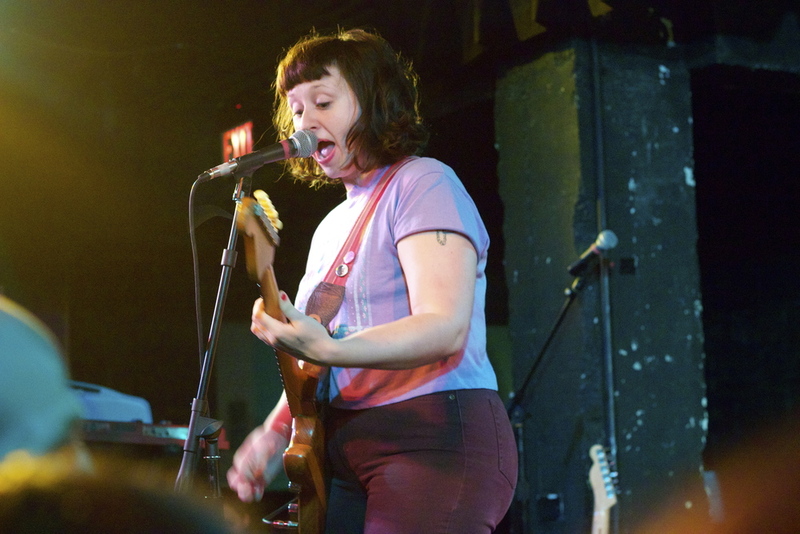 As for the opening band Swearin’, it speaks very highly to them that the Julie Ruin have taken them out on tour. And high expectations were expertly exceeded by the Philly quartet, whose sound makes you think that this same show could have happened twenty years ago and it would’ve made perfect sense. The ex-P.S. 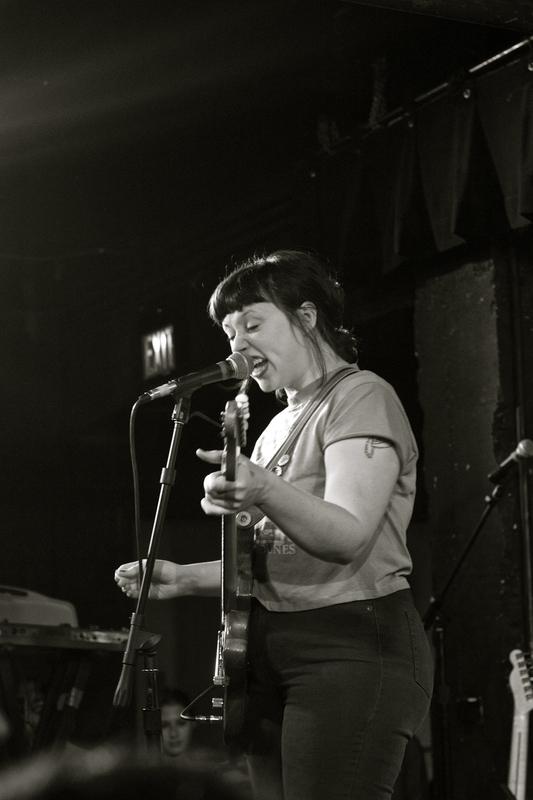 Elliott frontwoman Allison Crutchfield started anew with this project along with co-songwriter Kyle Gilbride. 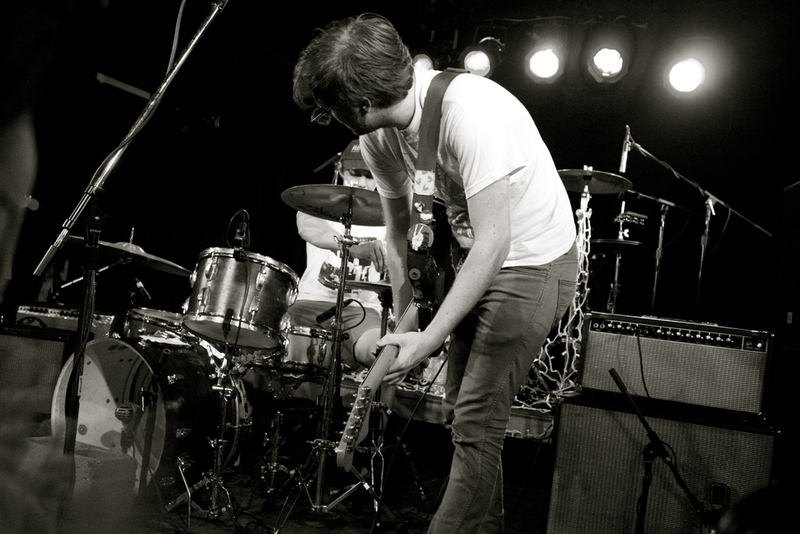 The two create a sound that’s almost pop-punk, but is far too fuzzed out and scuzzed out to wear that label. With brighter vocals and significantly less “jangle” than previous efforts, Swearin’ might just be Crutchfield’s best work. The fan girl (or just fan, really) factor in the room was potent as The Julie Ruin took the stage. Again, there are mutual feelings on both sides of the stage, most important among them being gratitude of relief. Everyone’s relieved that Kathleen Hanna is well enough to continue touring and making music as she battles late-stage Lyme disease, and Hanna acknowledges this (and her suspicion that she picked it up in Maryland). Most have preemptively forgiven any lackluster performance due to Hanna’s health, and for some, the mere fact that she’s Kathleen Hanna is reason enough. But the Julie Ruin only use this as an excuse in jest. They’re aware of their age, their obstacles, but they’re still dead set on having fun. It’s clear that Hanna and Bikini Kill bandmate Kathi Wilcox are glad to be on stage together again, though they don’t play off each other as much as you’d expect. 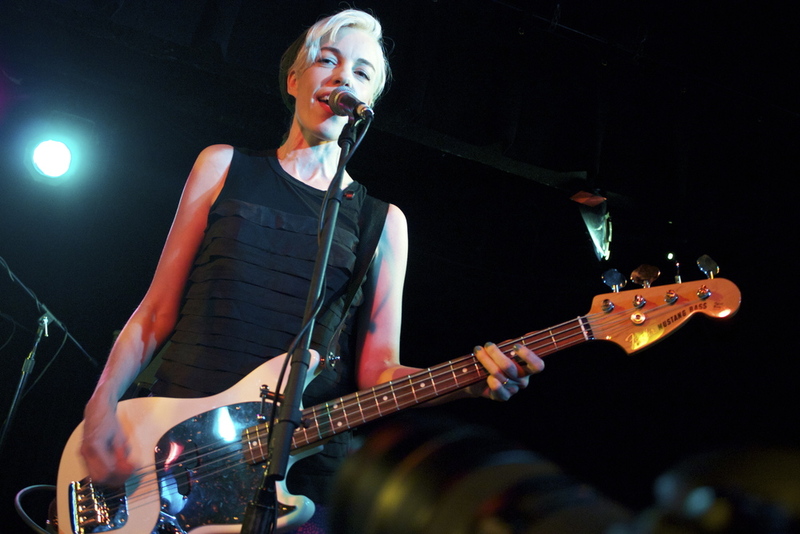 The set list is a healthy combination of tracks from Run Fast, songs from Hanna’s original solo album as Julie Ruin and covers, but was missing what is easily the most fun Julie Ruin song in favor of the most popular. The content is still every bit as feminist and political as anything else Hanna and Wilcox have written, the set littered with appropriate banter to introduce songs and comment on band dynamics. The most telling aspect was that Hanna didn’t overshadow her bandmates– Sara Landeau is a killer on guitar, Carmine Covelli resides behind a holiday-light laden drum set and is unwavering and unforgiving, and Kenny Mellman’s keys, synth and distinct yell yield sounds reminiscent of Le Tigre’s first album. In fact, this show and sound are much closer to Le Tigre than to Bikini Kill. But with strong musicianship on stage, it isn’t strictly about Hanna’s past. It’s an intersection of countless side projects and performance art pieces. Hanna had her weak moments. She read from a book of lyrics at her feet for much of the show, joked about the amount of water she needed to down between songs, and offhandedly remarked, “C’mon, guys, I have Lyme disease.” It’s not a cop-out, it’s the truth. It was still, however, an impressive performance with much to say about how much room their is for people, bands, and music to grow beyond movements, how new challenges and obstacles shape us, and how little women’s issues have truly changed in the past twenty years. These rebel girls are still rebel women, but their personas and their sound are more refined and more accessible to an audience that begs them to let loose and go wild.